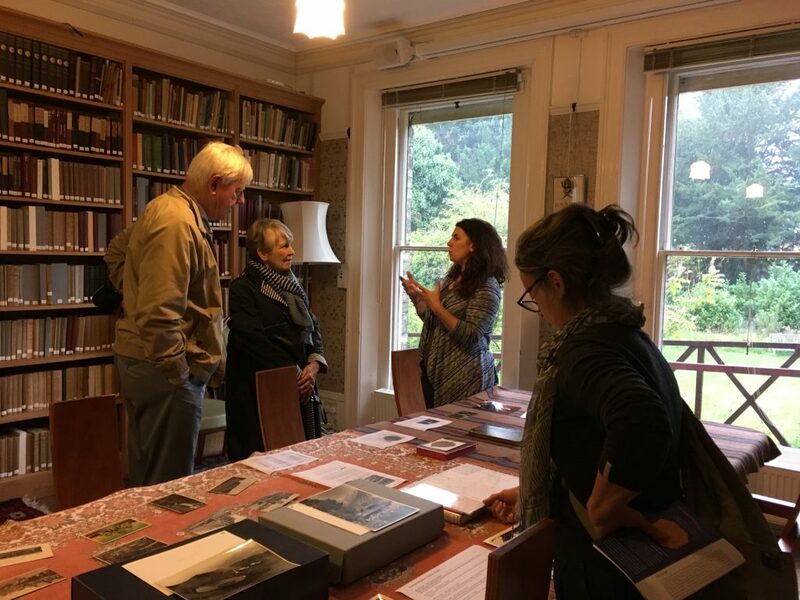 Visitors to the trust’s Open House talking to Assistant Librarian, Jo Salisbury. Photo credit: U. Sims-Williams. year, which saw many of Cambridge University’s colleges and institutions, and 20 other partner organisations around the city taking part in a weekend of over 97 events. From architectural projects, old and new, to outstanding exhibitions and guided walks and talks, the festival offered access to many places and projects not usually open to the public. The Open House was a great success with over 50 visitors, most of whom had never visited the trust before. 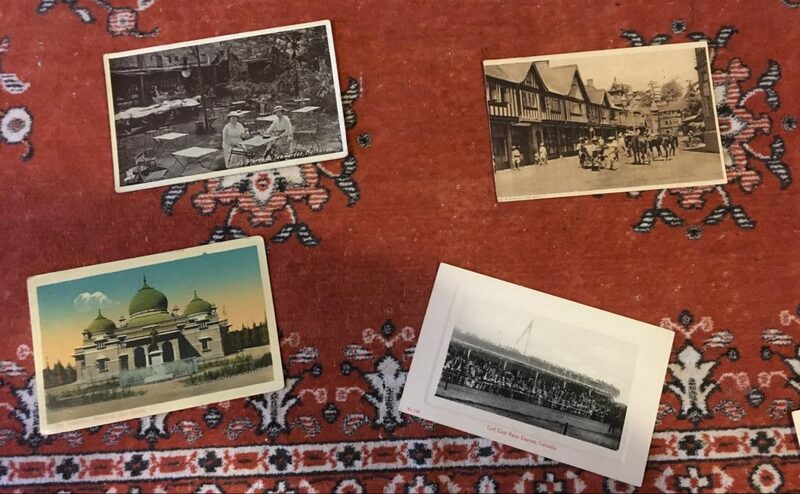 Postcards from the Cyrus Mehta collection. Photo credit: U. Sims-Williams. Many showed an interest not only in the history of the trust and its collections but also in future lectures and the Friends of the Trust. 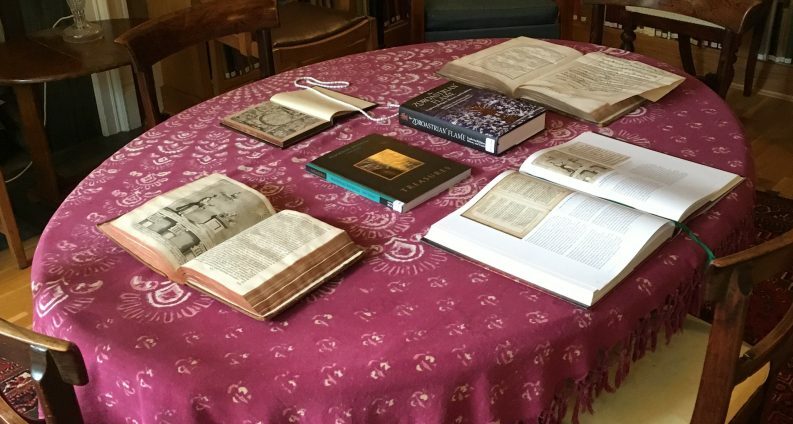 A selection of books and items were exhibited, highlighting the diversity of the collections, with special emphasis on works and objects from collections featuring the Indian subcontinent: a key feature of the festival being the University’s ‘India Unboxed’ season – a series of exhibitions and events celebrating the UK-India Year of Culture 2017 and the 70th anniversary of Indian independence. 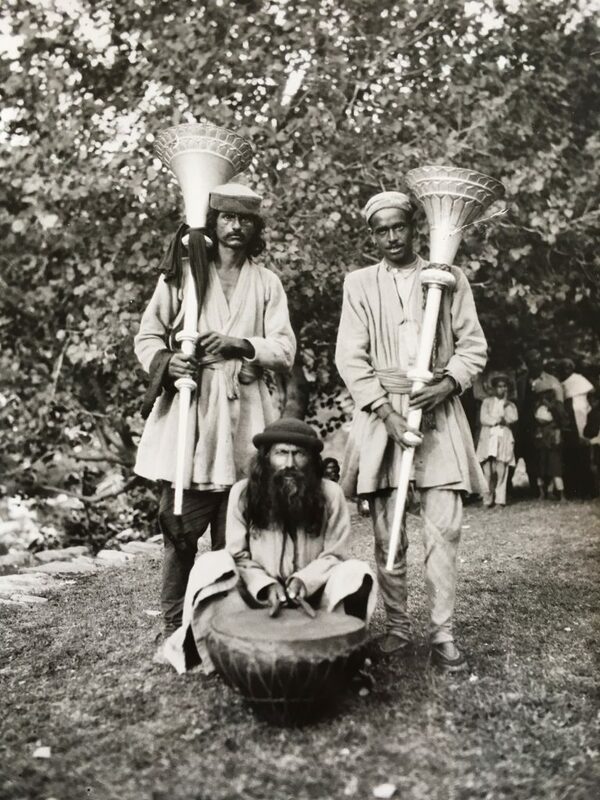 ‘Temple band – Kulu Valley’ – B&W image B34, Betjeman (Chetwode) Collection, AIIT. That sounds like a great initiative. Well done all concerned.